A member of the right-wing Alternative for Germany promises a “miracle” to the Bavarian sister party of Angela Merkel’s Christian Democratic Union in the October’s state parliamentary elections, denouncing the CSU’s wordy offensive against “un-Bavarian” AfD. Christian Weiland, a member of the Alternative for Germany Party in Bad Kreuznach, lambasted a recent comment by Bavarian State Head Markus Soeder, one of the leading figures in the Christian Social Union (CSU), who reportedly said to the state government that the AfD was "un-Bavarian" and "had absolutely nothing to do with Bavaria." “Mr. Soeder has lost the overview of what conservative values are. The AfD is clearly conservative[ly] patriotic, we distance ourselves from exaggerated nationalism,” Weiland told Sputnik. He also predicted that the CSU would experience a "blue" miracle on election night stating that “conservative Bavarians will not be fooled by the pithy slogans of Mr. Soeder” as the “pseudo-conservative CSU tries to discredit” the AfD. Soeder’s remarks were elaborated by CSU General Secretary Markus Blume, who described the AfD as an "enemy against everything Bavaria stands for" in the election strategy, cited by the DW. He also said that "brown dirt has no place here," connecting AfD with fascist ideology as Nazi groups are known to stick to brown-colored uniforms. The meeting, in which the CSU leadership voiced its stance on its rival, marks the preparation for the upcoming state parliamentary elections that will take place in October in Bavaria, a CSU stronghold where the CDU’s sister party enjoys a parliamentary majority. However, the recent polls show that the CSU has lost electoral support by 7 percent, scoring 41, while the AfD has got 12 percent. The AfD, which made a tougher stance on migration one of the cornerstones of its campaign, landed a historic result during the 2017 all-Germany parliamentary elections as it came third and entered the Bundestag. Before that the CSU had been accounted for the most conservative representation in the German Parliament compared to Angela Merkel’s more centrist Christian Democratic Union. 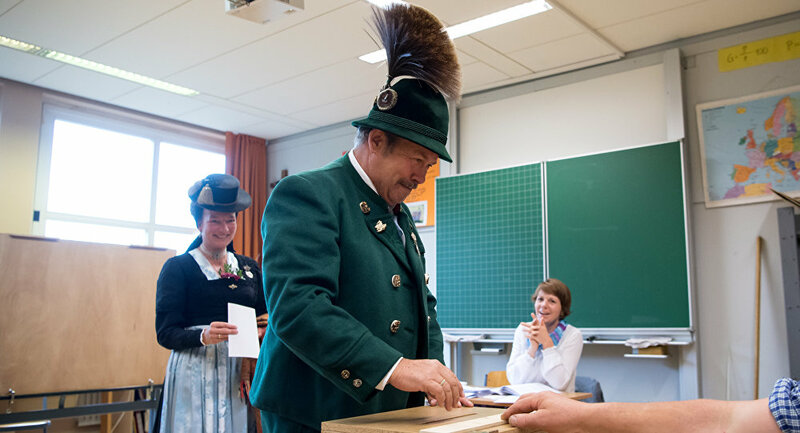 Incidentally, during those elections the CSU scored just 38.8 percent of the vote in Bavaria, which is 10 percent less than during the previous elections in 2013.